Multi-talented Larry Banks came from Brooklyn, NY and was part of a highly musical family. And although he spent the 50s in singing groups, into the 60s he made a good living as a songwriter/producer/A & R man rather than using his voice. So although his own 45s could be considered more of a side-line than anything else, he made several of them, and recorded more tracks that were never issued, and a good few of his output are relevant to the musical aims of this website. He started out as a member of the Schemers around 1954, graduating to the Four Fellows a year later, with whom he made over a dozen 45s. The group were more like the Ink Spots than R & B combos such as the Clovers or the Midnighters in their stylings but were popular enough to have lasted to the beginnings of a new decade. Backed by them, Banks made his first solo disc for Select. Will You Wait had more than a touch of doo wop in the chord changes, pumping piano and the background vocals but Banks showed a fine gritty tone and a super sense of dynamics on his strong vocal. 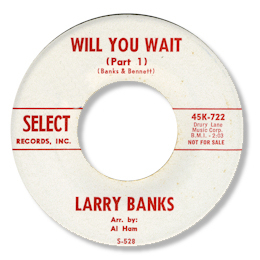 Over the next couple of years Banks devoted his time to writing and producing rather than his own career as a singer, the most memorable of his efforts was his involvement in his then wife’s (Bessie Banks) wonderful rendition of “Go Now”. His second solo disc came out on DCP in 1965. “I Didn’t Wanna Do It” was a typical New York big city ballad of the period, with “I’m Coming home” an upbeat dancer. 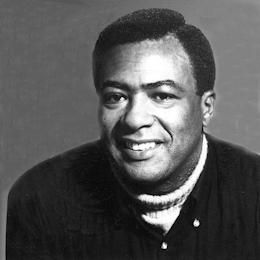 Larry became a linchpin of the GWP company and the black music A & R director for RCA shortly after this, recording a large catalogue of music by such artists as Kenny Carter, the Geminis and the Hesitations. He cut a lot of demos and unreleased material as well, most of it uptempo and not in my view of any great quality. 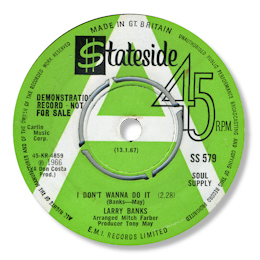 But he did release a first class single on Kapp in 1967 – his killer 45 for me. Both I’m Not The One on a rhythm track first used for a Kenny Carter session from the previous year, and Muddy Water are deep soul ballads to savour. I don’t think Banks got much more emotionally involved on a disc than he does on these titles, his anguish almost tangible. 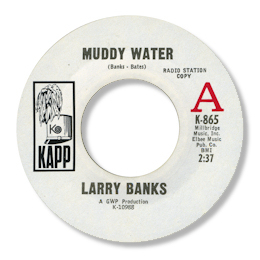 I just about prefer "Muddy Water" thanks to the more subtle melody and the way his voice cracks as he almost howls out his contrition – begging for forgiveness. In any event whichever side you prefer the disc is a masterpiece no question. 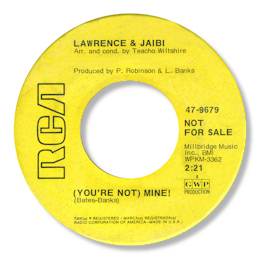 Almost up there with it is the duet he cut with his second wife Jaibi (Joan Bates) as Lawrence & Jaibi in 1968. You’re Not Mine is a beat ballad with a beautiful set of chord changes and some very fine singing from the pair of them. Jaibi’s lighter tone making a nice contrast with Larry’s gruffness. Their unissued cut sadly isn’t anywhere near this class. Larry’s final 45 for Spring was a disappointment and his career in the 70s wasn’t as half as fulfilling as the previous decade. He passed away in 1992. You can find a detailed discography of Larry’s recordings here – it contains his group work and unissued sides as well as his solo efforts. 1. Ace UK have issued a CD called “Larry Banks’ Soul Family Album” which is a splendid survey of Banks’ work through the 60s including his productions and writing as well as most of his own solo sides. The quality of the music I’d call “patchy” but the reason the CD is indispensable is Ady Croasdell’s long essay on the background to the artists lives and careers. This is based on original research by Dave Godin, who considered the music that Larry Banks’ and his compatriots produced constituted the pinnacle of soul artistry. 2. Jaibi’s solo 45 will be covered on another page.